We all know change is difficult and often avoided for as long as possible but with so many people – employees, their families, suppliers and customers – relying on the business, it is important to make sure the “owner and leader transition” is done smoothly and effectively. 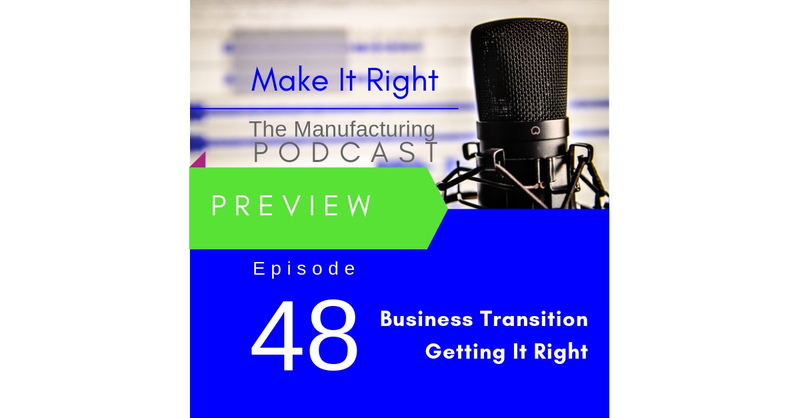 This week on the Make It Right podcast we look at how to set your company up to successfully transition and avoid costly and emotionally draining mistakes. Janet’s guest is Patrick Bradley of Manufactured Financial Solutions. Full show Friday.